Students must take English Grade 9. This course begins the four-year English Language Arts curriculum aligned with the Massachusetts Curriculum Framework for English Language Arts and Literacy. Students experience a broad range of literature, including non-fiction informational texts, fiction, drama, and poetry with an emphasis on critical thinking and analysis. Each unit is anchored by a text that allows students to learn critical reading and various writing modes to establish a foundation for success in all subsequent years. Students will be expected to participate in class discussion, respond to daily, in-class writing-to-learn activities, and deliver frequent oral presentations. MCAS close reading sets and test-taking strategies are embedded into the curriculum and students will complete a series of common formative and summative assessments throughout the year. Targeted Academic Seminar is a required course for students based on data who need to receive customized academic support to transition successfully to the academic expectations of Essex North Shore Agricultural & Technical School. Students will be assigned to either English language arts or mathematics and taught by content-specific teachers. Students will learn how to analyze and solve problems using appropriate strategies. A variety of test-taking strategies will be presented to give students the tools required to successfully complete various types of assessments. 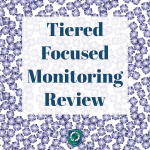 At the beginning of the year, an individualized plan based on diagnostic assessments will be designed for each student with ongoing benchmark measures to monitor student progress. Students must take English Grade 10. This course deepens student focus on acquiring the reasoning and analytic skills associated with literature and rhetoric, and the course will continue to focus on helping students making connections between literary and thematic elements and text-based support established in freshmen year. Anchor and linking texts span long and short fiction, drama, and nonfiction. Synthesis of multiple texts will be integral to the curriculum, and students will complete classroom activities along with formative and summative assessments requiring synthesis throughout the year. Students will complete a series of common formative and summative assessments throughout the year. This course is required for students who are identified through data as being in jeopardy of not meeting the standard for the Grade 10 MCAS English Language Arts, Mathematics, or Biology tests. Areas of study will include the following: developing test-taking strategies, writing text-based essays (for ELA) or open responses (for Mathematics or Biology), computer-based testing practice, and targeted improvement based on diagnostic assessments. Students must take English Grade 11 or Advanced Placement in English Language and Composition. This course examines American literature—fiction, nonfiction, poetry and drama from multiple perspectives. Students will analyze texts through stylistic, social, economic, historical, and critical lenses. The emphasis of this course is evaluating the relationship between form and content in a literary work, and then analyzing how both the author’s intent and reader’s perspective illuminate the meaning of the text. Students will produce short narratives, dramatic scenes, oral presentations, and analytical essays. Students must take English Grade 12 or Advanced Placement English Literature and Composition. This course focuses on a variety of literary and informational texts that include the Western cultural philosophies of nihilism, modernism, idealism, existentialism, and magical realism, including rigorous practice in research, informational writing, and personal narrative. Students will identify critical lenses, recognize multiple themes, analyze in concrete and abstract perspectives, and evaluate multiple interpretations from secondary sources. Students will draw evidence from literary or informational texts to support their analysis, reflection, and research. Essays and discussions will relate the work to its historical circumstances, trace a symbol through a work or works, or consider a moral or philosophical question. The major works and ideas of Western literature will be addressed. This course examines classic, modern, and contemporary short stories and novels, from Edgar Allan Poe to Stephen King, and from folklore to today’s up-and-coming authors. There will be an emphasis on the development of the horror genre and archetypes of form and meaning. Attention will be given to supernatural, psychological, and allegorical themes and tropes in such fiction, as well as relevant social and historical background information. The course will center on written fiction, with occasional reference to horror in films and other media. Whole text and selections will include Dracula, The Shining, Carrie, Coraline, The Haunting of Hill House, It, The Troop as well as Lore podcast and selected short stories from Stephen King, Chuck Palahniuk, H.P. Lovecraft, and Edgar Allan Poe. This course is designed to help students successfully learn critical reading and writing skills that they will encounter in various courses. Students will learn Writing With Colors and how to write 8- and 12-sentence open responses along with using color-coding to improve the quality of their long composition writing. Students will also learn skills for writing powerful sentences through sentence-composing activities. Students will gain guided experience handling synthesis items that require them to analyze multiple texts. A variety of test-taking strategies will be presented to give students the tools required to successfully complete various types of assessments including district-wide and standardized tests. At the beginning of the year, an individualized plan based on diagnostic assessments will be designed for each student with ongoing benchmark measures to monitor student progress. This course examines the various forms of creative writing that include, but are not limited to, short stories, poetry, memoirs, flash fiction, and literary non-fiction. The students will be asked to produce their own creative works that mimic the forms studied. The course will also require the students to have their pieces of writing workshopped with other students in the class in order to receive feedback and suggestions. By the end of the year, students will be required to produce a collection of their work as well as reflections on their writing process, inspirations, and work completed. Students are eligible to take this course junior or senior year, but not both.